Sometimes contentment can be found in the small things. Like a glass of water or a cool breeze. This is especially true if you’re sweating buckets in a super hot yoga class – generally hovering around a balmy 38c. Colette is one part yoga sage teacher, one-part comforting philosopher, all heart – perfectly combined with no-nonsense-you-can-do it sensibility. Oddly, despite the sweltering heat, I believe her. Because even if at first everything feels utterly impossible and I don’t think I can twist my body into a pretzel (aka eagle pose), Colette believes. She encourages, motivates and calls you by name. 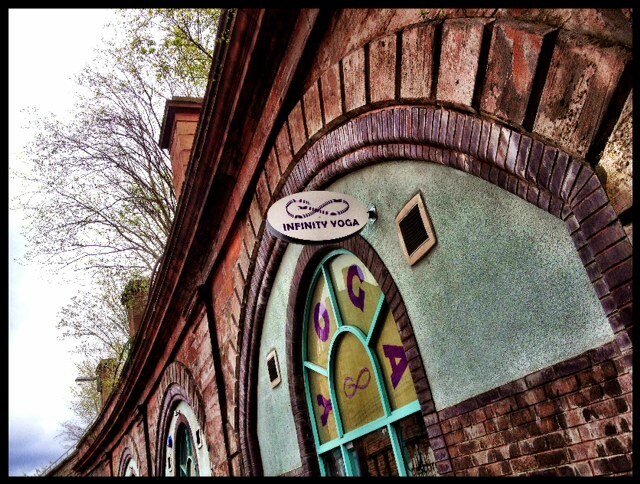 Impressively she somehow remembers the name of every person who comes to her Merchant City Infinity yoga studio. Here you are not just a number. You’re special – you feel special. The variety of hot yoga, hatha and Pilates means you won’t get too comfortable in one class, can experiment and test yourself in new exciting ways in a supportive environment. In fact, you can adapt according to your own abilities. And the other teachers – Jamie and Gemma – are also fantastic. Though Colette is my favourite. You will sweat. You will feel challenged, quite possibly like never before. But you will also feel totally brilliant – inside and outside. Eventually. I promise. This entry was posted in Uncategorized and tagged Bikram, City Centre Glasgow, hot yoga, what to do in Glasgow, yoga. Bookmark the permalink.